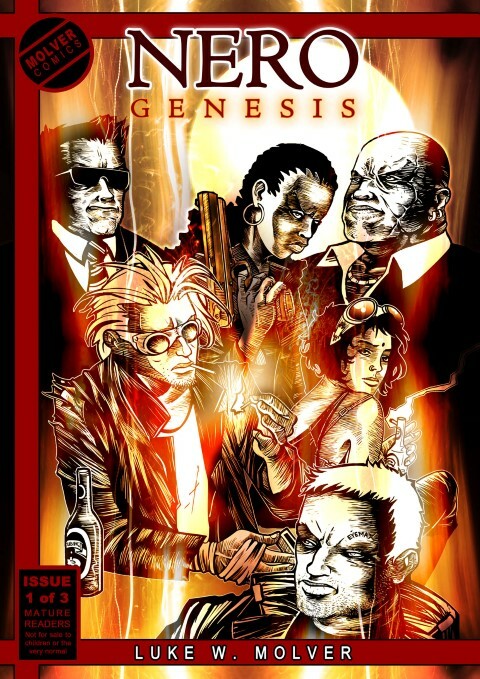 Comic book connoisseur and Open Book Comics Fest coordinator, Moray Rhoda, gives the reasons why these three SA comic books are must-read stuff. Dungeon Quest is a self-aware look at fantasy roleplaying tropes that starts off in a strange, off-kilter, almost-recognisable pseudo-SA suburb. Our protagonist, Millennium Boy, rebels against the mind-numbingly mundane existence of his suburb and starts gathering a band of would-be adventurers to accompany him on an adventure quest. As the story develops, the ridiculous nature of fantasy role-playing is exposed, as the characters, for example, levels up and also loots the corpses of their fallen foes (while commenting on their feelings about both). Why buy? 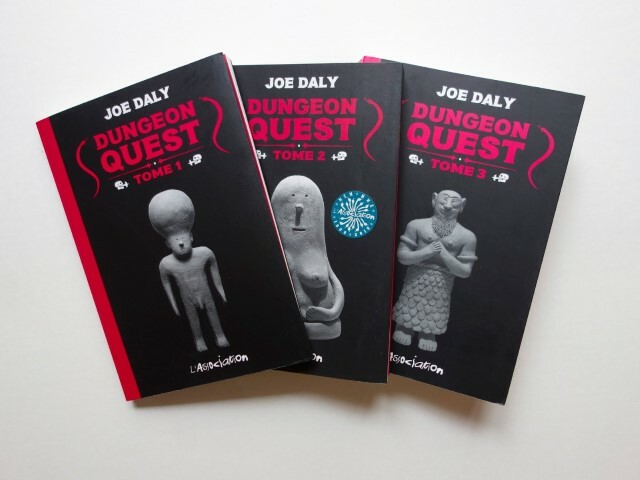 Dungeon Quest is a smartly-written, well-paced story filled with laugh out loud stoner humour and moments that make you question your preconceived notions of the predictability of fantasy stories. The storytelling is elevated by grounded dialogue that shines with authenticity in even the most ridiculous moments and readers will easily identify with the characters. Also at Readers Den and Outer Limits specialty comic shops. Norman gets stabbed, thrown in the Thames and ends up being chased through the nightmare world underneath the skin of everyday London by strange and somewhat dead creatures, killer chihuahuas and slightly emo goblins. Fortunately our hero meets Belle, a young pickpocket that has the smarts to guide him through the subterranean urban jungle and put him on the path to facing the truth about his girlfriend’s death. Why buy? 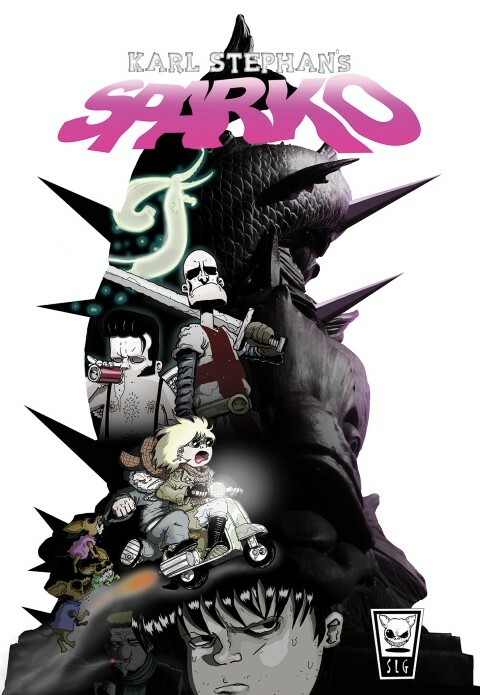 Not your regular warm and fuzzy feel-good story, Sparko is an offbeat urban fantasy, nightmarish ride through the collective unconscious of the world's glummest city, sprinkled with moments of dark humour. Karl Stephan, an old Bellville boy now living in London, beautifully conceptualised a world that is fully-realised, and an immersive, strange and funny place, underpinned by a much bigger mystery. Nero is an underweight, pigeon-chested, club-footed half-blind wetware engineer. He’s also a hustler and genius living in a future sci-fi version of Durban and content with getting by and hanging out with his friends, Skuif and Arani. This is until the day he decided to build a super-computer using outlawed technology that could destroy the human race. Now he is on the run from the corporation killers who want him dead and the technology for themselves. Why buy? Nero’s world is a dystopian vision of a future South African city, with plenty of clever local references and language that creates a grounded and grim reality one can identify with. It’s a well-written, disturbing and imaginative sci-fi tale brimming with complex ideas and interesting characters and some ultra-violence to move the plot along. Readers Den specialty comic shop and Clarke’s Bookshop. Article first appeared in TechSmart 121, October 2013. Download it here.